We’ve heard rumors that Amazon is planning multiple mobile devices and their chief Jeff Bezos teased us to “stay tuned” for a tablet, but the actual release date of their first iPad killer has been anyone’s guess. According to DigiTimes, a pretty reliable Taiwanese publication, the online retailer is gearing up to launch their inaugural Android slate some time in the August-September time frame. Amazon is poised to step into tablet PCs and will launch models as soon as August-September, with targeted global sales of four million units for 2011, according to Taiwan-based component makers. The timing of launch is to meet the peak sales period prior to Thanksgiving in the US and the year-end holidays in the US and Europe, the sources pointed out. 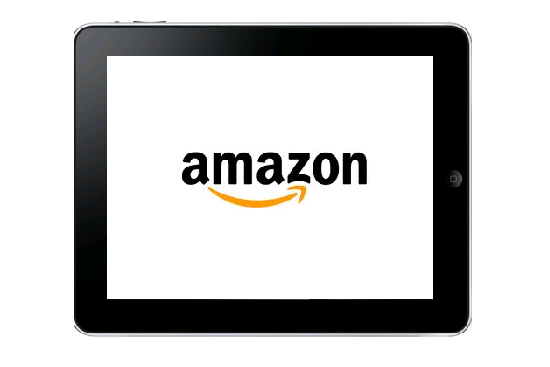 The Amazon brand and their content ecosystem plus the upcoming holiday seasons and assuming aggressive pricing should all help position Amazon as a viable tablet player. After all, Google’s chairman Eric Schmidt opined at the D9 conference last month that Amazon was one of the four global tech giants, the other three being Google, Apple and Facebook (he called them the gang of four). Little is known about the innards of the Amazon tablet apart from what sources told DigiTimes: That it’ll pack in a Texas Instruments processor and Wintek-manufactured touch panels. Contract manufacturer Quanta Computer will be assembling the gizmo and monthly shipments are expected to reach 800,000 units, in line with the original iPad. If Amazon can set its product apart with unique hardware features such as the color e-ink technology or AMOLED display and build upon that with a customized, attractive user interface, tight integration with their content stores (books, songs, movies, apps) and the patented one-click purchase feature, then the Amazon tablet might stand excellent chances of becoming a first-tier tablet vendor and mounting a serious challenge to Apple’s iPad .